The #BuyTwitter campaign is using open, volunteer-led strategies in a global effort to turn twitter into a user-owned cooperative (and why that matters). Is the future of social media cooperative? The #WeAreTwitter Organizing Collective is an open, volunteer-run group campaigning to #BuyTwitter (yes, buy Twitter) and turn it into a user-owned cooperative. The campaign is a big and bold idea. It’s also a distributed campaign with the potential to transform online power at a critical moment. An alternative coop ownership model may reposition social media at a time when the role of social media in spreading fake news, the rise of online bullying, social media surveillance and the growing power of a few large internet companies are all in question. It is a big goal that requires a broad movement to challenge the assumptions of the current internet financial model – and the power that underlies it. This campaign aims to put power back in the hands of the people, with the goal of creating a new type of user-centered advocacy. Twitter is an intriguing target. It is a relatively open social media platform, at least in comparison to competitors like Facebook or Instagram. 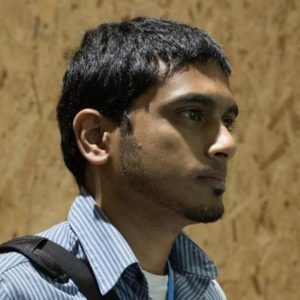 Twitter allows outsiders to develop APIs and tools that spark diverse functionality and communication analysis. Moreover, wide use by journalists, activists, politicians and members of marginalised communities make Twitter it an attractive campaign target. Twitter also faces financial challenges. Unable to grow fast enough to satisfy investors, the company has been for sale since early this year. Many users, including media and activists, are concerned about the fate of a platform they rely on. The video below was created for the #WeAreTwitter campaign to explain the reasoning behind a user cooperative ownership model. It began as a pure thought experiment when Schneider, after a few back and forth tweets and emails, responded to news about Twitter’s potential sale in an article published in The Guardian. In that piece, Schneider proposed that Twitter take on a community ownership model similar to that of the Green Bay Packers, an American professional football franchise owned by fans. The article sparked a debate resulting in pieces in numerous other media outlets, including Wired. The seed had been planted, and the campaign formed soon thereafter as a team coalesced to try to turn this idea into something actionable. The platform coop community had up until this point been focused on organising community events or creating open source alternatives to dominant platforms. That worked in with some niche technologies. Stocksy, for example, is a collectively owned platform for photographers. But it isn’t a household name. For the vast majority of web users, Stocksy was far beyond their daily reality or needs. The campaign itself is being run much like the eventual ideal for Twitter, following the principles of a platform cooperative. Democratic ownership, open communication and access, and, like any tech platform, tools, methods, and a membership that is constantly evolving. In fact, #WeAreTwitter is not being led by any single organisation or entity. Organisations like Enspiral Networks, makers of Loomio, the P2P Foundation, and the non-profit Internet of Ownership are providing support. But the campaign remains a decentralized, volunteer-led effort. Several tools and channels are used to facilitate communication, including a Loomio group and a Slack channel. To engage the public, the campaign setup a Change.org petition and an open letter in several languages to Twitter’s board. Initially, the core group was the same folks who had been involved in platform cooperativism for some time. Eventually, though, new people began to come in, broadening the community. A platform co-op is a collectively owned digital entity governed by the people who depend on and participate in it. Platform co-ops distribute ownership and management of the enterprise to participants — those working for the platform or those using the service. Two key traits that these digital co-ops must realize are democratic control and collective ownership. Read more about Platform Co-ops at Shareable. Today, #WeAreTwitter has evolved to address the fact that its main goal is audacious. Despite its financial challenges, Twitter still has a market valuation in the billions of dollars. For a volunteer led movement to take control of a massive corporation is likely, unfeasible. And they understand that. At the same time, it is highly unlikely that the platform cooperative community could have generated the momentum, and gotten buy-in from so many different sectors, without a campaign like #BuyTwitter. The core team has grown from a handful to, today 20-30 active members, and another 150 involved in a lesser matter, with more joining every week. They now have the capacity to begin to address some bigger concerns such as – what would a cooperatively-owned Twitter actually look like? And, how could they, literally, buy Twitter? 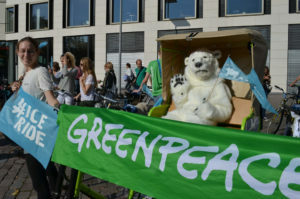 “This nascent movement has a lot of educating ourselves to do,” said Gieryn. They are currently looking at how to create an Asset Acquisition Co-op, or an Investment Club, and the legal structures that could carry out the purchase of a platform like Twitter. They are also looking at how to engage with supporters within the company itself who might be interested in preserving their unique platform without giving up control to unaccountable investors. In late December, 2016, organisers proposed a shareholder resolution urging Twitter to build democratic user ownership. 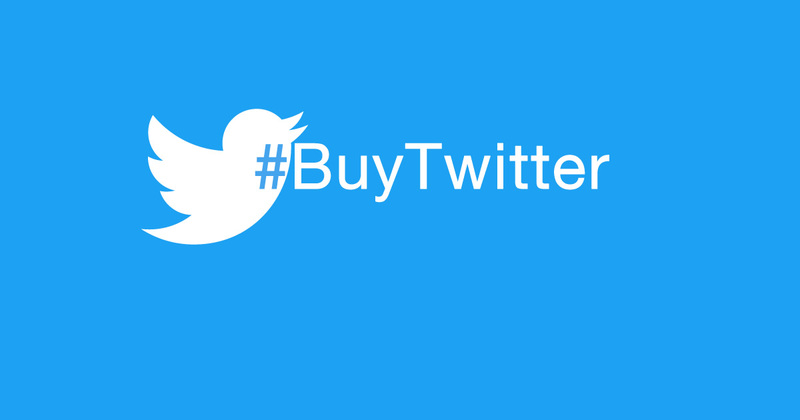 The campaign is is also engaging Twitter users by connecting #BuyTwitter to pressing user issues including rampant bullying and intimidation that are pushing away women and minorities. The success of movements like #WeAareTwitter could have serious implications for digital activists and non-profit campaigners. Advocacy and mobilisation work around the globe is reliant on Twitter, Facebook, Slack, Weibo, Telegram and countless more, for-profit platforms accountable only to advertisers and investors. Networks evolve to grow revenue, not address user needs. This often works against organising power. For example, in 2014 Facebook cut “organic reach” down to barely 1-2%, forcing NGOs and campaigns to pay to ensure their content is read by their fans. Understanding, and challenging when needed, the structure of the digital platforms and organising tools is essential to building and using power. A cooperatively owned Twitter could be a far more useful tool for campaigners. #WeAreTwitter aims to build an infrastructure for future campaigning by tackling at least one piece of the Internet-media power puzzle. “This isn’t the first time – and it’s not the last time – that a big piece of media infrastructure is in flux, and there’s a potential to put more cooperative control over it,” said Gieryn. And when that opportunity comes, the movement will be ready to take advantage, stronger, more knowledgeable, and better prepared than ever before. Simplicity over Complexity. The core tool that binds the team together is a single page collaborative Google Doc that describes the campaign, and provides potential actions points for volunteers. Be open to new voices. By allowing any interested person to join, the team has brought together an impressive group of people from different background – lawyers, technologists, activists, and community organisers.